Through the late 1990s and into 2000, managers plowed millions of dollars into information systems meant to track and strengthen customer relationships. Often built around complex software packages, these customer relationship management (CRM) systems promised to allow companies to respond efficiently, and at times instantly, to shifting customer desires, thereby bolstering revenues and retention while reducing marketing costs. But most firms failed to reap the expected benefits, and as executives dramatically reduced IT expenses in subsequent years, CRM sales plummeted. After rising 28% between 1999 and 2000, CRM sales dropped by 5% in 2001, 25% in 2002, and 17% in 2003, according to the technology market research firm Gartner. Many observers came to believe that CRM was destined to join enterprise resource planning (ERP) as another overhyped IT investment whose initial unmet promise nearly killed off the approach. But something unexpected has happened: Senior executives have become considerably more enthusiastic about CRM. In 2003, Bain & Company’s annual Management Tools Survey of 708 global executives found that firms actually began to report increased satisfaction with their CRM investments. In 2001, CRM had ranked near the bottom of a list of 25 possible tools global executives would choose. Two years later, it had moved into the top half. In fact, 82% of surveyed executives said they planned to employ CRM in their companies in 2003—a large jump from the 35% who employed it in 2000. Today, CRM spending appears to be picking up. Gartner forecasts that overall CRM sales will rise another 10% by the end of 2005. So what’s changed? Why has disappointment turned to satisfaction, pessimism to optimism, cutbacks to new spending? To answer these questions, we studied a wide range of companies that have recently been successful in implementing CRM systems, and we discovered some common threads in their experiences. Most important, they’ve all taken a pragmatic, disciplined approach to CRM, launching highly focused projects that are relatively narrow in their scope and modest in their goals. Rather than use CRM to transform entire businesses, they’ve directed their investments toward solving clearly defined problems within their customer relationship cycle—the series of activities that runs from the initial segmenting and targeting of customers all the way through to wooing them back for more. The successful users have also exhibited a healthy skepticism, discounting overblown claims that the ultimate payback from a CRM system is the creation of a “real-time enterprise.” Understanding that highly accurate and timely data are not required everywhere in their businesses, they’ve tailored their real-time CRM initiatives to those parts of their customer relationships that truly do depend on “perfect” information. Once they’ve succeeded with the smaller, more-targeted CRM project, they’ve used their initial investments as springboards for solving additional problems. Do we need perfect data? The questions reflect a new realism about when and how to deploy CRM to its best advantage. When Darrell Rigby, Fred Reichheld, and Phil Schefter took stock of CRM’s effectiveness in these pages nearly three years ago (in “Avoid the Four Perils of CRM,” February 2002), lots of companies were still placing big bets that the technology would pay off—somehow. Lacking clear customer strategies and the organizational structures to support them, many firms got burned and grew distrustful of CRM. The difficult lessons such organizations learned have led them to sharpen their customer strategies, setting the stage for real gains from more-focused CRM applications. In this article, we’ll show how several companies have implemented successful CRM efforts—aircraft parts distributor Aviall, consumer product giant Kimberly-Clark, diversified equipment maker Ingersoll-Rand, home- and office-machine company Brother International, and electronic connector manufacturer Molex. We’ll also lay out some basic considerations that can help firms determine which CRM projects are likely to yield the most value. There’s no getting around it: A CRM program involves complicated business and technology issues and requires significant investments of time and money. CRM is not a tool for buffing a company’s performance at the edges; it should be applied only to processes vital to a company’s competitiveness—those that can distance a firm from its competitors or keep a function (such as call center response time) on par with the rest of the industry when parity counts. If the target is not truly strategic, the organization will be hard-pressed to summon the vigor necessary to tackle entrenched business processes or retool its organizational structure and garner expected returns. Before spending a dime on CRM, therefore, executives need to make sure they have the right targets in their sights. Paul Fulchino knew the stakes involved when he brought CRM into Aviall after being appointed CEO in 2000. Fulchino had ambitious plans to transform the Dallas-based distributor of aircraft parts into the premier vendor of supply chain management services to the aviation industry. By becoming the preferred partner of both the big original equipment manufacturers (OEMs) and the commercial and military fleet owners, Aviall could consolidate customer demand and extend its reach worldwide, which would reinvigorate its sales and strengthen its margins. But Fulchino faced a daunting obstacle to realizing his vision: Poor information and cumbersome processes hampered the company’s sales and service operation. Difficulties with an existing IT system had increased sales reps’ workloads, sometimes keeping salespeople trapped in local branches, helping managers input order information instead of making sales calls. What’s more, the company hadn’t trained the sales reps in proper time and territory management, which led to inefficient phone call routing and haphazard calling schedules. Customer inquiries were often routed to distant call centers that lacked up-to-date data on orders, products, and prices. The weak customer service left key accounts vulnerable to competitors’ attacks and undermined the company’s ability to charge the premium prices typically associated with flawless product delivery. A better-trained and more proactive sales force was a strategic necessity. Without one, Fulchino’s aggressive plans for the company would go unfulfilled. So the new CEO, working closely with his sales and marketing head, Jim Quinn, and his technology chief, Joe Lacik, dedicated Aviall’s initial CRM outlays to this critical challenge. Rather than attempt a full-scale implementation of a broad CRM program, the executives took a more focused approach, installing only the sales force, order entry, and call center applications to begin with. Their goal was to coordinate customer information seamlessly from the outside sales agents, first to the inside sales support staff, then to the customer service representatives who were manning the company’s 36 regional call centers. The relatively narrow focus allowed the sales force to become familiar with the system without being overwhelmed and delivered quick victories that helped win broader management and line support and gather momentum behind the project. The gains were striking. Before having the CRM system, the sales force relied on an outmoded database for managing client information. The system’s inflexibility made it difficult for sales and service staffers to get even basic information on a customer’s order history and credit status. “There’s nothing more frustrating than having a customer spend 15 minutes on an order and then realizing at the very end that there’s a credit issue,” says Lacik. “In the old system, credit problems didn’t get flagged until you tried to place the order. Then the credit group would be called in, and you either had to have the customer on hold for a long time or call them back. In our business, there’s a moment of truth: You have to have the right product, the right information, and the right price. If you don’t have those three things put together, you lose the call—and if you lose the call, 90% of the time you lose the sale.” With the new system, a customer’s credit history instantly popped up on the order screen. The rich information the new system provided allowed Jim Quinn to flip a switch in the sales force. It helped the agents get organized and spurred them to make more customer calls, knowing they could immediately deliver firm quotes on tailored sets of products or services. Placing an order had once required them to go through 11 screens and nearly 50 steps; now they could do it with one screen and ten steps. Just four months into rolling out the CRM system, the number of daily sales calls tripled, and the customer base grew by 33%. In fact, the productivity of the entire sales and service operation skyrocketed, helping Aviall recapture market share and win large orders for new product lines. The number of orders handled per day jumped from 1,000 to 2,500, even as error rates declined, with no increase in staff. It’s possible to use CRM systems to manage the entire customer relationship cycle, but that’s usually a bad idea. The expanded capacity, together with the improvements in service, have built the platform the company needed to reshape itself as a full-service provider of aviation logistics support. Aviall’s sales and profits have grown rapidly, and it has steadily stolen market share from competitors. In a testament to Aviall’s success, engine maker Rolls-Royce recently awarded the firm a ten-year supply contract worth $3 billion—the largest deal ever struck by any company in the industry. Says CIO Lacik: “We showed Rolls-Royce the level of visibility we had into our customer base—visibility that we could share with them to give them a deeper understanding of customer buying trends and behavior.…A simple analysis showed Rolls-Royce that it had several years’ worth of supply in some products while being understocked in others because it was not matching manufacturing adequately with customer demand. That was a pivotal moment in winning the contract.” Tightly focused on a single area of critical strategic importance, CRM has become a linchpin of Aviall’s reinvention. It’s possible to use CRM systems to manage the entire customer relationship cycle all at once—initial purchase, after-sales service, subsequent purchases, recommendations to other customers (for the full range of functions a CRM system can automate, see the exhibit, “The Customer Relationship Cycle”). But as the most aggressive early adopters found, that’s usually a bad idea. Such an approach ends up creating unused technology capacity, causes unnecessary business disruptions, and ultimately fails the payback test. When companies carefully examine their customer relationship cycles, they usually find some deep-seated, pernicious problems in a few areas that undermine overall performance. It is these pain points that should be the focus of the CRM effort. For Kimberly-Clark, one of the world’s leading consumer packaged-goods companies, the pain point lay in its vast retailer promotions operation. The manufacturer was running thousands of promotions every year, usually offering a discount on a particular product to a particular retailer, but it was unable to accurately gauge the success of any of them. The firm had aggregate numbers on its trade promotions, but it couldn’t break them down by individual customer, product, or shipment. As a result, Kimberly-Clark found itself spending huge quantities of marketing dollars, uncertain which promotions were producing retailer loyalty, shelf space, and sales, and which were going to waste. 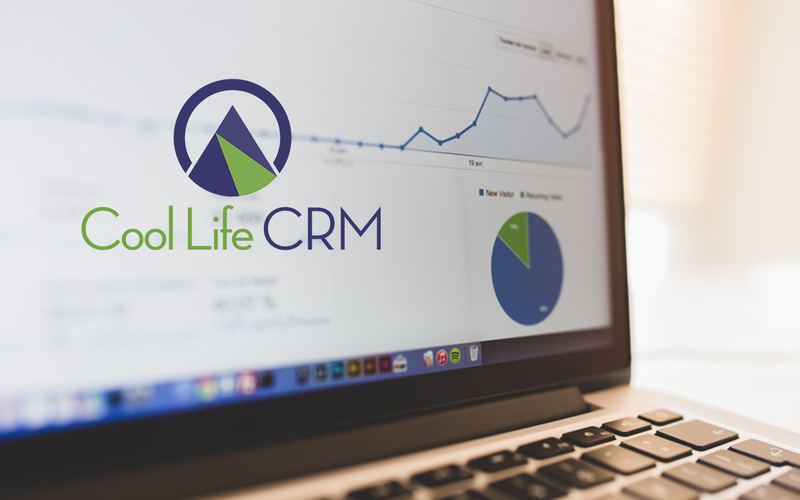 Company executives therefore reasoned that starting with a modest, customized CRM system to collect and analyze promotion data could substantially improve the effectiveness of its overall customer relationship cycle. Kimberly-Clark started by building onto an existing software program for account management, called Profit Calculator, which its sales department had developed to track investments in individual promotion efforts. By integrating that with shipment data, the enhanced system could go beyond just providing general information about whether ROI was positive or negative. It could more precisely measure the impact of a particular promotion on sales and profits for both Kimberly-Clark and its retailer customers. Says Bruce Paynter, Kimberly-Clark’s vice president for customer development: “Now we can see what the real-time impact on our sales and profit is when running promotions. Moreover, we can integrate this information into our sales and planning process with our customer.” Renamed Business Planner, the software became the heart of the company’s sales and marketing efforts: salespeople used the tool in the field to design promotional packages for specific retailers, while the company’s marketing staff used it to plot broader promotion plans. Equally important, managers say, Business Planner armed customer representatives with consistent data and business rules, which has broadened their perspective. Rather than think purely of managing sales, they think in terms of managing the business. Today, key-account reps can assess likely financial results and engage in scenario planning jointly with retailers. And their effectiveness in reducing pain in trade promotions has revealed new opportunities. Building on the success of its Business Planner software, Kimberly-Clark is now implementing a more ambitious system designed to reach beyond its retailer customers into a wide array of consumer-advertising and promotional activities. The enhanced suite, coined Brand Builder, helps the company plan and evaluate the success of individual activities—a freestanding coupon inserted into the Sunday papers, for instance—and measure the combined effect of a number of integrated activities. The Brand Builder suite comprises three related components: It includes a state-of-the-art collaborative tool that lets sales agents, designers, vendors, and retailers plan promotions online. It puts marketing research and information learned about consumers online in real time. And by integrating promotional-spending data with scanner and financial information, it provides a powerful analytical tool. In fact, with the new analysis tool, Kimberly-Clark has moved from relieving a pain point for its retailer customers to making a science of marketing. The company now knows, for example, that the payback for some consumer promotion programs is twice as high as for others intended to produce the same results. With that kind of information, the firm can identify which elements of marketing—coupon value or creative impact, for instance—result in higher returns. Focusing on pain points can not only be an effective way to build a successful CRM program but can also get an unsuccessful CRM initiative back on track. That was true for Ingersoll-Rand, the $10 billion diversified manufacturer. In 2001, Club Car, the Ingersoll-Rand division that makes motorized golf carts, or “golf cars” as the company calls them, was showing signs of trouble, with revenues beginning to drift downward as an economic downturn hit the golf industry. But management lacked the information needed to diagnose the reasons for the slowing sales. Individual reps and order managers used their own idiosyncratic processes for dealing with customers. Sales forecasts were made informally using guesswork and rudimentary spreadsheets, and the sales force had little influence over product customization. Realizing it needed much better information, Ingersoll-Rand rushed to roll out a broad CRM system that was supposed to incorporate everything from lead evaluation to proposal generation and from product configuration to order entry. But the effort proved too much for the organization to digest. Club Car’s managers weren’t convinced of the ultimate benefits. After spending more than $2 million and completing a first round of user testing, the company discovered that the system wasn’t delivering the anticipated productivity gains and reporting capabilities. In fact, the system would dramatically increase the administrative workload of the field sales reps instead of freeing them to spend more time with customers. The unit’s president had the foresight to halt the effort and made the organization back up and refine its goals. Club Car’s management team took a fresh look at the key processes in its customer relationship cycle and refocused its CRM initiative on the two deepest pain points: forecasting sales and taking orders. Today, just two years after the CRM effort was relaunched, Club Car has successfully automated its sales operation, significantly improving both customer service and business decision making. By more directly involving the sales force in the redesign of the system, carefully paring down the data and processes it encompassed, and improving the underlying technology, the company eliminated many of the CRM system’s original drawbacks. Sales reps use the new system at customers’ sites to modify the cars with them, and for the first time, the reps can see the financial implications of different configurations before setting prices and delivery dates. The order information the reps collect is automatically combined with general industry data on golf cart demand and equipment replacement cycles to generate reliable sales forecasts. That, in turn, has led to smoother, more predictable manufacturing schedules. Part of the early attraction of CRM systems lay in their ability to deliver real-time information—to give marketers, salespeople, and managers a clear picture of what’s happening in the market at any particular moment. But perfect information comes at a high cost. The systems required to collect and disseminate it are expensive; so are the finely tuned processes needed to react quickly to it. Despite the hype surrounding real-time enterprises, the fact is that few companies need perfect information throughout their customer relationship cycles. Why pay for real-time information on business processes that customers don’t really value or that managers can’t rapidly adjust? A hotel manager certainly needs real-time data on the availability of rooms but not on the customer’s opinion of the carpets and drapes. A cable company needs real-time figures on service outages that demand immediate repairs but not on the profitability of its pay-per-view programs. Real-time information priorities are driven by real-time business opportunities and must be customized to each individual business. Companies need to clearly distinguish between activities that truly demand perfect data and those that can get by with “good enough” information. The requirements for each are quite different. The approach Brother International took to its CRM implementation is a good case in point. The U.S.-based distribution arm of the Japanese maker of typewriters, printers, fax-printer-copiers, and sewing machines, Brother International faced a persistent problem: a high rate of product returns. A leading cause of the returns, the company believed, was dissatisfaction with service from its call center. In the late 1990s, as office products became more sophisticated, end users began to require more assistance. But Brother’s call centers were answering only 46% of the queries coming in from new purchasers, and the quality of the help provided varied widely. Service representatives were failing to address recent buyers’ questions and complaints. In particular, call center staffers lacked accurate customer information and quick access to solutions for callers’ problems. To help customers troubleshoot technical issues, staffers often had to search through binders of product information. Frustrated consumers were returning their products to retailers. Here, Brother’s executives saw, was a pain point that could be remedied only through the provision of “perfect” information; they therefore looked to CRM to bolster their call centers. The company rolled out the new system in stages, starting with the printer call center in September 2001 and then adding centers at two- to four-week intervals. This staggered approach allowed Brother to refine the system as it was implemented and adjust the training program as circumstances warranted. The results have been impressive. The system can identify customers as they call in, quickly locate their purchase records, and supply call center workers with standard responses to common questions. That’s reduced individual call times by 43 seconds on average, resulting in substantial savings. Brother estimates, for example, that this year the total savings could reach $635,000. What’s more, Brother is now answering an average of 140,000 calls a month, and the typical customer is left on hold for less than five minutes. The newly automated process has also cut the time required to train new call center operators, saving even more money. Product returns fell by a third, from 5.0% in fiscal 2000 to 3.4% the following year. And the benefits reach beyond the call centers. Because the system can capture data on the nature of incoming calls, it has given the company important new insights into customers’ needs and behavior. That has improved Brother’s ability to tailor outreach campaigns, which include surveys and newsletters, to well-defined buyer segments. Now that it has better information on the questions most frequently asked about its products, the company can use its campaigns to disseminate answers in advance. That, in turn, has reduced the volume of inquiries coming into the call centers. Each day, Brother sends data on types of inquiries and customer problems from the call centers to its corporate parent in Japan, where the information collected helps the company’s product-planning, design, and customer-satisfaction groups evaluate both product performance and customers’ preferences and experiences. Brother expects the exchange will lead to improved customer satisfaction and enhanced product performance over time. Used the right way, real-time information can help companies cope with high levels of complexity in their customer relationship cycle, making priorities clear. Molex, an Illinois-based global manufacturer of electronic and fiber-optic interconnection systems, has a large customer base and a vast pipeline of potential orders. At any given moment, the company is pursuing close to 15,000 different sales opportunities worldwide. For years, Molex used e-mail and spreadsheets to keep track of its pipeline, but the resulting data were often weeks out of date. That made it difficult to consistently set sales priorities so the company could pursue the leads with the highest potential. The lack of updated information also made it hard to synchronize Molex’s global efforts. Because the firm had so many major customers with operations in different parts of the world, several Molex locations could be working on similar or related programs for the same customer without knowing it. In 2002, therefore, the company installed a CRM system to manage its order pipeline. For the first time, executives from the CEO on down could see the full range of sales opportunities in real time. That made it possible to measure the real value of those opportunities and get updated information about them 24 hours a day, rather than just a few times a year. The gains were immediate: improved order management, more precise sales targets, and better global coordination of inventory and pricing between regions. Since implementation, both the number and the value of potential sales in the pipeline have climbed significantly, as the sales staff has used the shared information to identify opportunities earlier. Molex’s management believes it is meeting the original goal of the project, which was a 5% increase in revenues. Once the initial implementation was complete, moreover, management realized that the data being captured could also be used to improve budget planning. The pipeline data now form the foundation of the revenue portion of the budget process, and the company plans to use the information for parts forecasting and supply chain management as well. As Kimberly-Clark, Brother, and Molex found, the data produced by a narrowly focused CRM system often reveal additional opportunities for important business refinements. And those refinements, taken together, can amount to a broad CRM application that extends across the company. The difference between this sort of wide-ranging CRM implementation and the prerecession CRM applications is that each step in building the system represents a carefully planned, well-defined advancement in strategic thinking. Kimberly-Clark started with trade promotion management then extended its tool set to include total retailer customer management and, more recently, consumer management. Brother’s call centers have enhanced its U.S. marketing and outreach campaigns and even fed its product development and quality control processes on the other side of the world. Molex’s clear view into its order pipeline has led to improvements in budgeting, procurement, and supply chain management. Smart CRM adopters don’t rest on their laurels. They rigorously analyze the data their systems produce to identify new, well-defined opportunities to extend the technology’s power. In most cases, these opportunities lie in activities adjacent to the customer relationship cycle, as the natural path of these companies’ CRM expansions show. Aviall, for its part, plans to extend its CRM system in two directions—adding upstream links to its suppliers and downstream connections to its customers. These will give the firm an end-to-end view of the aviation supply chain, starting with the status of suppliers’ inventory and extending all the way to customers’ requirements for parts and maintenance. Because it will enable the firm to better match supply and demand, Aviall expects the expanded system to become an important source of competitive advantage. It’s also often possible to extend the benefits of CRM to related business units. Ingersoll-Rand, for example, recognized that the customers of its Club Car division—golf courses—were also potential buyers of its other divisions’ products, such as Bobcat miniexcavators and loaders. Extending its CRM system to include those divisions could create new opportunities for cross selling. The company began to do just that in late 2002, and already the number of new leads generated has been substantial—an additional $6.2 million worth of leads for other Ingersoll-Rand products in the first year. That success has led to even broader plans. Today, Ingersoll-Rand wants to use CRM as the glue to bind together all four of its operating sectors (which represent more than 100 worldwide manufacturing facilities) so that the company can operate as one integrated enterprise in the eyes of its customers. Like Aviall, Ingersoll-Rand may utterly transform its business through its investments in CRM, but again the changes will come in carefully measured stages, with success building on success. You’ll have noticed that we haven’t spent a lot of time describing the details of the technology in this article. That’s intentional. In evaluating and designing CRM systems, business needs should take precedence over technological capabilities. Managers should not be distracted by what CRM software can do; they should concentrate instead on what it should do—both for their companies and for their customers (see the sidebar, “McDonald’s Tech Turnaround”). Fortunately, as competition among CRM vendors is increasing the software is rapidly becoming more flexible. It’s not yet simple to install a CRM system, but the technology is getting more dependable, the implementation process is becoming more streamlined, and the failure rate is going down. That gives companies the freedom to apply CRM with greater precision, targeting critical gaps in their customer relationship cycles where performance suffers. By setting priorities for their information requirements carefully, making sure they’re guided by overall customer strategy, companies can launch highly disciplined CRM efforts that will have a greater impact with lower investment and less risk. CRM, in other words, is coming to resemble any other valuable management tool, and the keys to successful implementation are also becoming familiar: strong executive and business-unit leadership, careful strategic planning, clear performance measures, and a coordinated program that combines organizational and process changes with the application of new technology. No longer a black hole, CRM is becoming a basic building block of corporate success.